When it comes to the 4th of July, San Diego goes all out. With over 23 local celebrations, there is hardly an area of the county that doesn’t get lit up with the gleam of fireworks on Independence Day night. No matter where you live, chances are there is a stellar fireworks show nearby. The largest fireworks display is the annual Big Bay Boom. The Port of San Diego sets off fireworks from 4 barges that are strategically placed throughout the harbor. This dramatic show can be seen from any place along the bay, but prime viewing spots are Shelter Island, Harbor Island, the Embarcadero, and Coronado Landing. This event offers designated parking lots and shuttle services for a hassle-free evening. For more information and details, check out their website. If you are looking for something to do before the big show, head to Old Town for an afternoon filled with Independence Day activities and a healthy dose of southwest history. Independence Day in Old Town is a trip back in time. Celebrate like they would have on the old frontier. There will be a parade, crafts, and activities. Ocean Beach is another great location to catch a dazzling fireworks show. Arrive early to soak up the summer sun with a family beach day. Then, just after the sun sets, fireworks will be launched from the pier. With the fireworks glittering on the cresting waves, this isn’t a sight to miss. 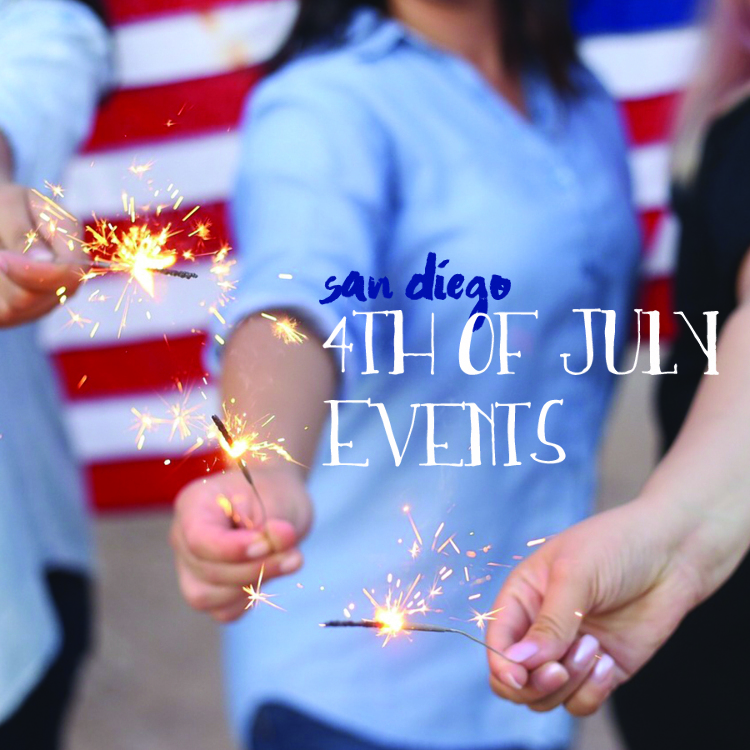 For a list of Independence Day celebrations in Coronado, North County – Coastal, North County – Inland, East County, and South Bay, check out this website here for locations and details.